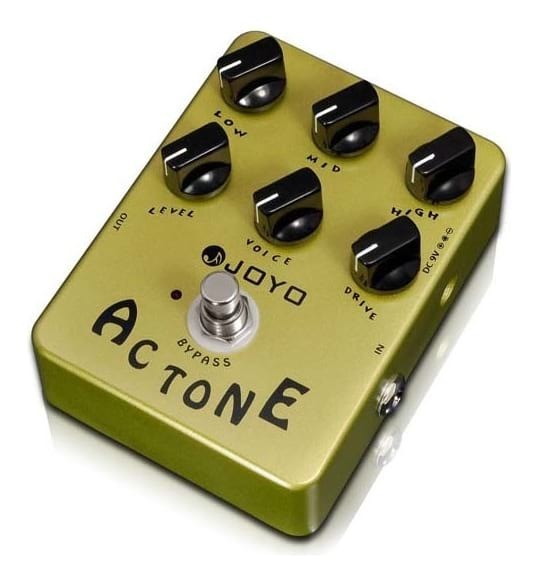 The AC Tone guitar pedal is designed primarily to be used in place of an amplifier when you are recording direct into your computer, or plugging straight into the mixing desk in a PA system. 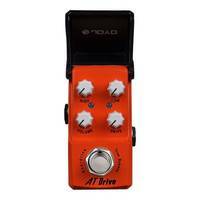 The AC Tone guitar pedal is designed primarily to be used in place of an amplifier when you are recording direct into your computer, or plugging straight into the mixing desk in a PA system. 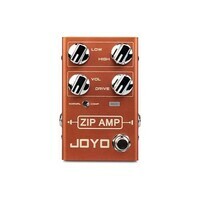 Replicating the iconic Vox AC30 amp sound, this pedal is a great time and space saver when you need to capture that classic British rock sound in your recordings, but don't have the facilities or budget to spend on mic'ing up the real thing at the high volume to produce the same tones. 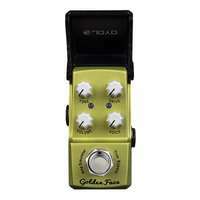 By using a combination of EQ and tonal adjustments, the JF-13 pedal enables you move from the classic Vox AC30 sound through a wide range of British inspired guitar tones. Whether beginning with the cleaner tone with the Drive down or with an overdriven tone for solo's (Drive up), you can adjust the Voice control to find the most suitable setting for you. 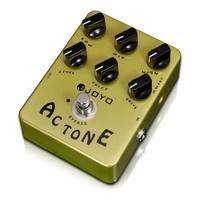 No matter what Brit style you are after, or what your musical taste, you will find the AC Tone amp emulator pedal to be a highly impressive unit. The price point on this unit AC sound emulator was unbelievably low and given I was about to spend $1500 + on a British tube amp, I just had to invest the $59 and see how this product stacked up on tone. 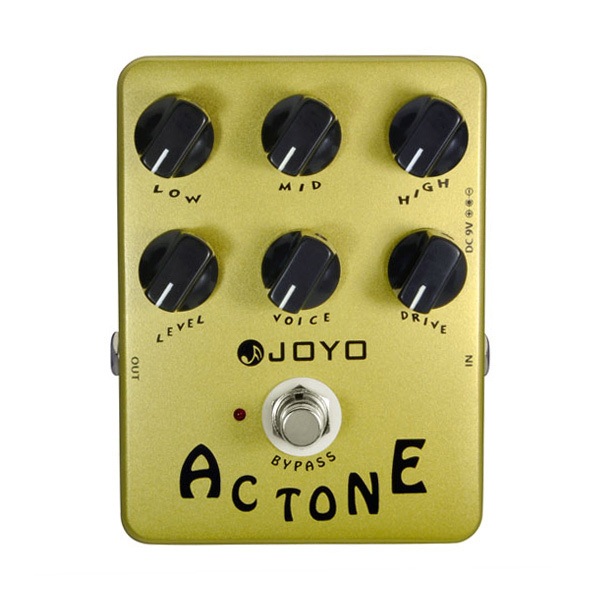 In short the AC tone emulator is brilliant and duplicates the tone of an original tube amp so closely - the slight differences (if any) wouldn't matter to anyone but the worst kind obsessive compulsive! Even then, variances in venue, output settings, instrument and playing style are going to impact on the tone of an original tube amp anyway - but with this product you get pretty much an infinite choice of settings and output tones under a simple set of controls. To be honest as a musician I'm much more interested in developing my own sound than perfectly duplicating someone else - and in finding your personal tone brand, this is certainly a tool you can work with! 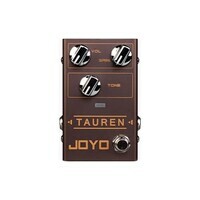 A joy with this is product is that I can input to a small acoustic practice amp (I also play electric acoustic) and adjust to the tone I need without spouse enraging volume! At a venue, just shoot your output straight into a pa for impressive live performance. We also use our powered mixer line output for multi-track recording via an audio interface and that arrangement works with the AC tone brilliantly in terms of tone reproduction and tone experimentation! I've only had the AC Tone unit a short while, so can't honestly attest to long term reliability, although the unit does seem to be robust and well built. 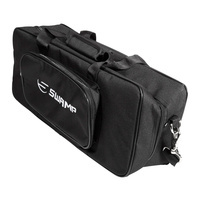 At this price however, you can easily afford to purchase a backup for your gear bag! 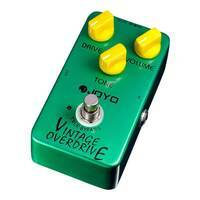 Recently I also ordered the Joyo American Sound emulator and am hoping to find the same tonal versatility! 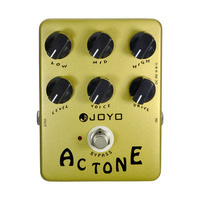 It occurs to me that a band just starting out and looking for a signature sound would find the Joyo tone emulators a cost effective way to experiment! 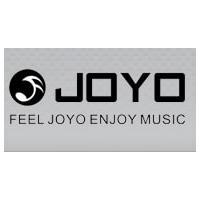 - Brilliant product at great price!